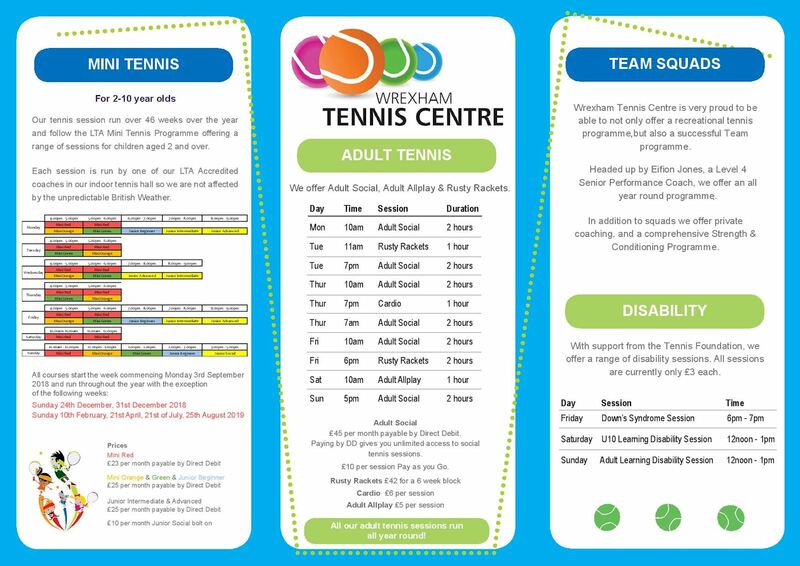 Located just off the A483 Wrexham to Chester by-pass and with ample free parking Wrexham Tennis is one of the top indoor and outdoor tennis facilities in Wales. Anyone can play here; there is NO MEMBERSHIP REQUIRED! Our coaching programme at the centre offers term time coaching groups for tots to teens and to all standard of adults from beginners to experts, plus pay-as-you-go social sessions and kids holiday camps. Our Team development programme offers a comprehensive all year round programme in high quality squads, strength and conditioning, and tournament support. We also have other onsite facilities such as a cafe, bar and gym. For further information see our facilities tab above.